Can You Dry a Memory Foam Pillow in a Dryer? 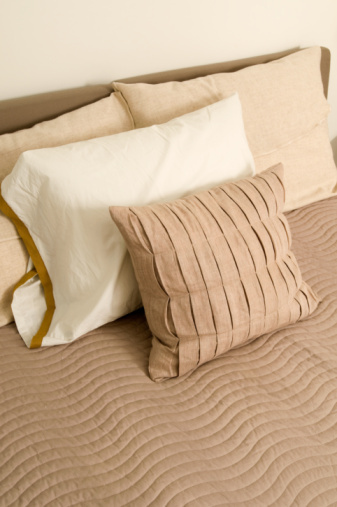 Memory foam is a sturdy and comfortable material that is often used in the construction of pillows and mattresses. You can wash and dry a memory foam pillow with minimal difficulty. Due to memory foam's structural components, drying a memory foam pillow must be done with extreme caution. Proper maintenance will lengthen the life of the pillow. Air dry your memory foam pillow. Memory foam is made from synthetic materials that have a unique cell structure. If you dry a memory foam pillow in a heated dryer, the cell structure quickly deteriorates and breaks down. 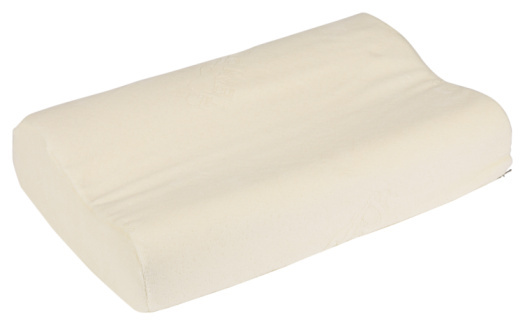 As a result, the memory foam pillow quickly loses its shape and comfort level. It is not advisable to dry a memory foam pillow in a heated residential dryer or in a commercial dryer. According to the Sleep Number site, a memory foam pillow can be dried in the dryer if the dryer has a no-heat setting with a tumble-dry option. If no heat is applied to the material and the cycle is gentle enough to ensure that the foam does not crumple, a memory foam pillow can survive in the dryer. It is best not to dry your memory foam pillow with other garments that have buttons or zippers. Since memory foam is made from synthetic materials that are flammable, a heat-induced dryer could cause a memory foam pillow to catch fire. If you are not sure whether your dryer has a no-heat setting, do not attempt to dry your pillow in the dryer. You could damage your pillow, destroy your dryer and potentially put your household at risk. Air drying a memory foam pillow is the safest option. When you air dry the pillow, it is important to place it on a flat dry surface. Flip the pillow over to ensure that both sides completely dry. It is advisable not to place a damp pillow on a painted or stained surface that could bleed into the foam material.